All five living former presidents — Jimmy Carter, George H.W. 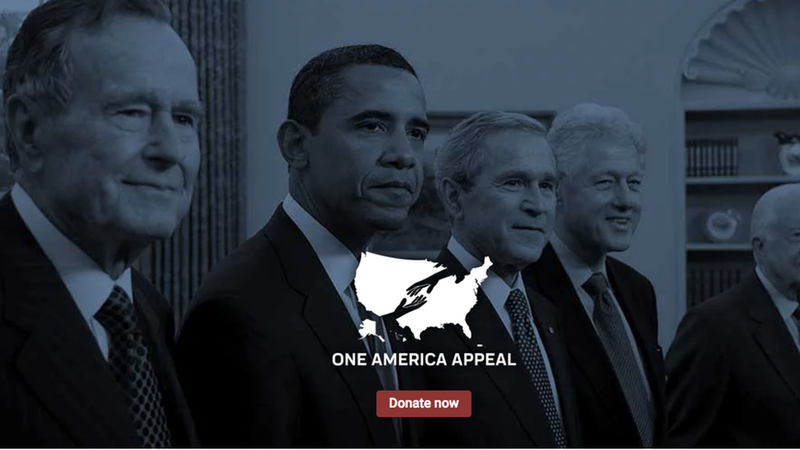 Bush, Bill Clinton, George W. Bush and Barack Obama — are fundraising for Puerto Rico, which was devastated by Hurricane Maria. The One America Appeal was launched after Hurricane Harvey to give aide to the Gulf Coast. It expanded to help Irma relief efforts, and now donations can be sent to Puerto Rico and the U.S. Virgin Islands. The full scale of Maria's massive impact, here.